Our “A” Series light bars feature 3 watt Bridgelux or Cree LEDs for great lighting performance. Using a 9005 style Weatherpack connector, which is the same as an HID ballast plug, makes them an easy installation with our matching wiring harnesses, switches or splitters. Able to operate on 10 to 30 volts DC makes them universal for most automotive, agricultural or industrial installations. The polycarbonate lens offers a nearly indestructible shield and the aluminum mounting brackets give a rugged base with easy installation. Great performance at an affordable price. Adding a light bar to your truck can give it a cool look, but have you considered how awesome a Cowl Induction hood would look as well? Visit CowlHoods.ca site to view some options. Our “A” Series LED light bars, feature 3 watt Bridgelux or Cree LEDs for great lighting performance. Using a 9005 style Weatherpack connector on our LED light bars, which is the same as an HID ballast plug, makes LED light bars an easy installation with our matching LED light bar wiring harnesses, LED light bar switches and our LED light bar splitters. 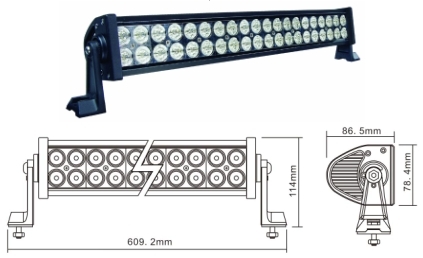 Our LED light bars are able to operate on 10 to 30 volts DC makes them universal for most automotive, agricultural or industrial installations. The polycarbonate lens on our best selling LED light bar, offers a nearly indestructible shield and the aluminum mounting brackets give a rugged base with easy installation. 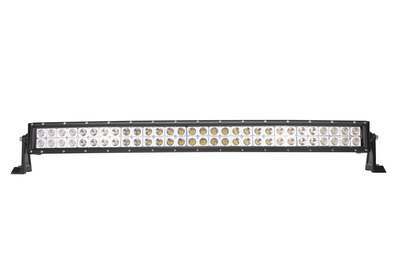 Great performance from an LED light bar at an affordable price.